Shorouk’s main branch, Talaat Harb Sq. 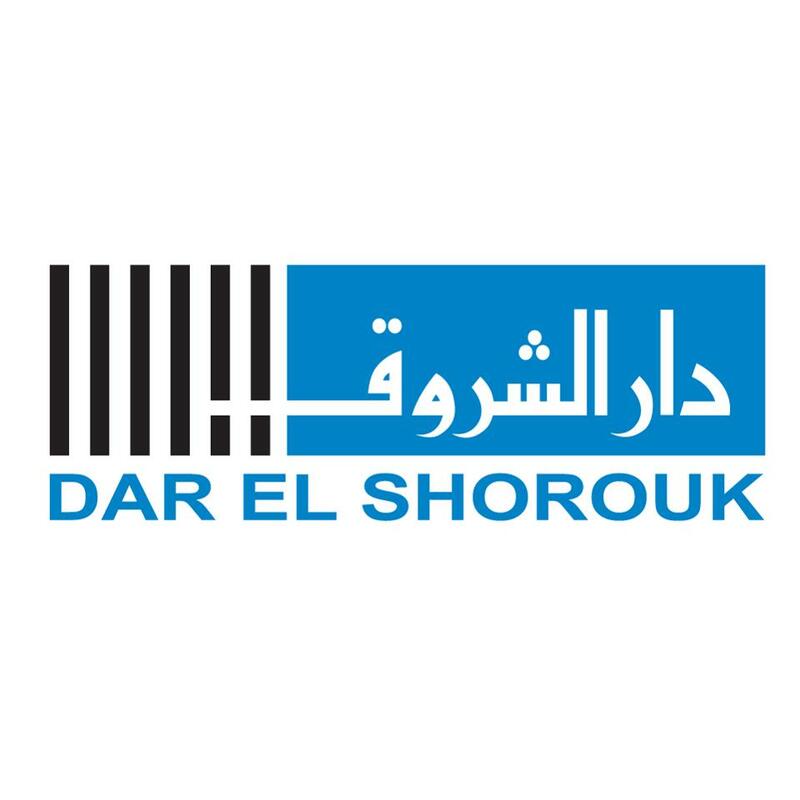 Dar El Shorouk is one of most recognized names in publishing and book sales in Egypt, and literature has been a special focus of the house since about 2005. Founded in 1948 by Mohamed el-Moallem under the name Dar al-Qalam, the house was nationalized in 1961 along with Dar al-Ma‘arif and following the government’s acquisition of al-Ahram, Dar al-Hilal, Ruz al-Yusuf, and al-Akhbar in 1960. Two years after the government buyout, el-Moallem tried again to open a private house, this time succeeding with Dar El Shorouk. Following his success in Cairo, el-Moallem opened a second branch in Beirut the following year, then later added a printing division to each branch. After el-Moallem’s death in 1995, leadership passed to his son Ibrahim el-Moallem, an influential figure in publishing in Egypt and the Arab world more broadly. Ibrahim el-Moallem has served as Chairman of Shorouk Group and is a former president of both the Egyptian Publishers’ Association and the Arab Publishers’ Association, and the former Vice President of the International Publishers’ Association. Under Ibrahim el-Moallem’s leadership the company has expanded from a family-run business to the larger Shorouk Group, which comes complete with outside investors and today consists of six different companies: Dar El Shorouk; National Printing Company; Egyptian Company for Arab and International Publishing; Sunflower Books; CLIP Solutions; and United Media Production. In 1999 Shorouk also began to publish the monthly cultural magazine Weghat Nazar, and the larger Shorouk Group expanded again in 2009 to include the now widely circulated newspaper Jaridat al-Shorouk. One of Shorouk’s most important literary contracts came in 2005 when, following a dispute with his previous publisher, the government-run Maktabat Misr, Nobel Prize winning author Naguib Mahfouz approached Shorouk about publishing his complete works. Reportedly Mahfouz was attracted to Shorouk by its large presence in bookstores and its importance as a literary publisher. As a result of this initial contact in 2005, you can now find all of Mahfouz’s works in Arabic with Dar El Shorouk, mostly in nice paperback editions, though if you’re on a budget keep an eye out for the older Maktabat Misr editions which are a fraction of the price. In recent years Shorouk has become an important name in literary translation, as well, due to its partnership with Penguin (established in 2010) that seeks to introduce Arabic classics into English and to bring several much-beloved world classics into Arabic, whether for the first time or in updated, carefully executed translations available now in higher quality printed editions and soon as e-books. While Shorouk clearly has a winning business model, some complain that the company focuses too much on turning a profit. That being said, the house’s ability to attract renowned authors and win international publishing contracts helps them maintain their status as a respected publisher. Because of Shorouk’s widely recognized name, decent distribution, and fairly well-made books, being published with Shorouk as a literary author can be taken as an indication that you’ve made it – or at least that your books will sell. Some recognizable names of those who publish with Shorouk include Naguib Mahfouz, Mohamed Hassanein Heikal, Ahmad Zwaybel, Galal Amin, Alaa Alaswany, Gamal al-Ghitani, Bahaa Taher, Amal Dunqul, Ibrahim Aslan, and Khalid al-Khamisi, among others. Shorouk is also the publisher of a popular though short-lived series of blogs-made-books that formed their mudawannaa series, the most popular of which is Ghada Abdel Aal’s ‘Ayza atgawwiz (2008; transl. as I Want to Get Married! by Nora Eltahawy, CMES at UT Austin, 2010). As for its bookstores, Shorouk has a large presence in Egypt with good distribution at independent bookstores and at their seven Cairo branches. 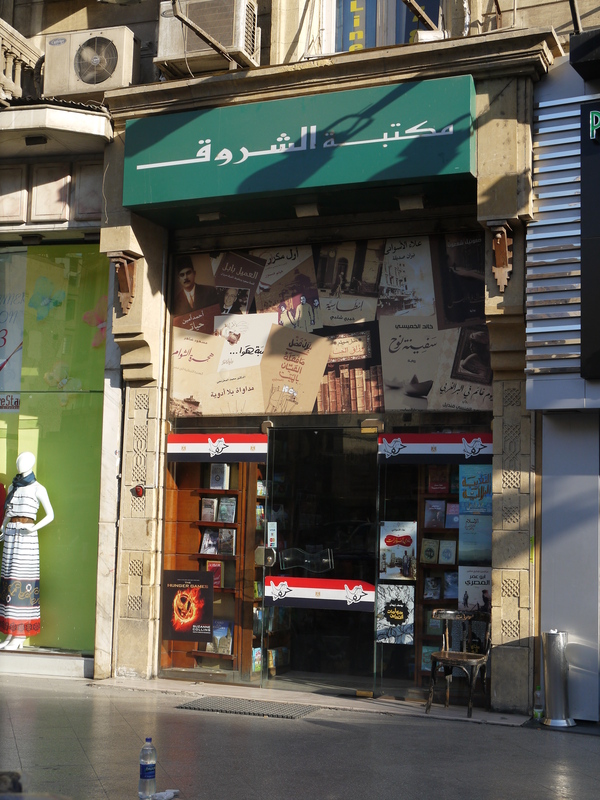 The downtown store is the main branch and is large when compared to the stores affiliated with publishing houses like Sharqiyat and Merit, but small compared to their store in Zamalek and to independent bookstores like Diwan and Alef. In general Shorouk branches provide you an opportunity to browse relatively undisturbed for a good period of time (and in AC in the summer). At the main branch new releases are to the right along the front wall, further in is a table of new fiction, and literary works continue to line the wall to your right as you walk further in. There are also two tables of literature by publishers like Dar al-Adab and others from outside of Egypt. The store carries several titles by small local publishers, too, and a fairly large collection of English books and religious and political books in Arabic. Upstairs are dictionaries and other reference books, as well as a good selection of children’s books. You can also visit their bilingual Arabic/English website with fairly up-to-date information about their publications. Shorouk has an annual loyalty program you can check out, too, with approximately 25% off most books, though we’ve been warned that those belonging to the program can only use their membership at the downtown branch on Talaat Harb.